Earlier this year, fans caught a glimpse of The Mandalorian, the protagonist of Disney+’s upcoming Star Wars streaming series. Now, we may know what The Mandalorian looks like under his mask. Variety is reporting that Pedro Pascal is in talks to portray the leading character of the show. Pascal had previously been rumored to be attached to The Mandalorian, but this is the first official confirmation. Variety notes that the deal has not yet been finalized, but the part has been offered to Pascal and negotiations have started. Pascal is best known for headlining Narcos on Netflix, as well as his memorable turn in the fourth season of Game of Thrones. Additionally, Pascal had a major role in Kingsman: The Golden Circle, and he will co-star in Wonder Woman 1984. RELATED: George Lucas Visits Jon Favreau on the Set of The Mandalorian! Very few details have been revealed about The Mandalorian. It will take place a few years after the fall of the Empire in Return of the Jedi. The titular gunslinger’s adventures will also unfold in the outer territories of the galaxy. Iron Man director Jon Favreau wrote the series, and Lucasfilm animation veteran Dave Filoni will direct the pilot episode. Taika Waititi, Bryce Dallas Howard, Rick Famuyiwa, and Deborah Chow have also been attached to direct episodes of the series. The Mandalorian is slated to run on Disney+, but a premiere has not yet been scheduled. 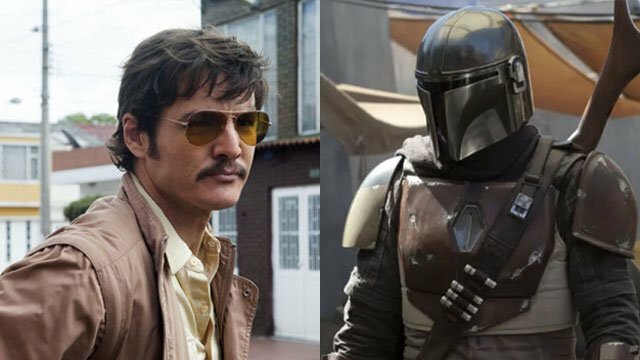 Are you excited to see Pedro Pascal as The Mandalorian? What do you want to see in this Star Wars TV spinoff? Share your thoughts and theories in the comment section below!